The 1995 UEFA Champions League Final was the 40th edition and took place in Vienna between AFC Ajax and A.C. Milan. It was Milan's third consecutive European Cup final, a feat which has since been matched in the Champions League era by Juventus between 1996 and 1998 and Real Madrid between 2016 and 2018, Milan was also aiming to tie Real Madrid's record of having won the European Cup six times. After 85 minutes the deadlock was broken when Frank Rijkaard, a former Milan player, found Patrick Kluivert with just enough space in the penalty area to lose his two markers and slot the ball past Milan keeper Sebastiano Rossi. The Nigeria national football team, also known as the Super Eagles, represents Nigeria in international association football and is controlled by the Nigeria Football Federation (NFF). They are three-time Africa Cup of Nations winners, with their recent title in 2013, after defeating Burkina Faso in the final. Nwankwo Kanu, OON, or simply Kanu, is a retired Nigerian footballer who played as a forward. He was a member of the Nigerian national team. Kanu is a native of Abia State, southeast Nigeria, and a member of the Aro sub-group of the Igbo ethnic group. Nwankwo means "Child born on Nkwo market day" in the Igbo language. Real Betis Balompié, SAD, more commonly referred to as Real Betis or just Betis, is a Spanish football club based in Seville, in the autonomous community of Andalusia. Founded on 12 September 1907, it plays in La Liga, having won the Segunda División in the 2014–15 season. It holds home games at Estadio Benito Villamarín in the south of the city. 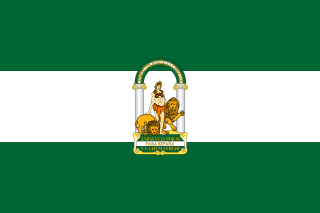 Andalusia is an autonomous community in southern Spain. It is the most populous, and the second largest autonomous community in the country. The Andalusian autonomous community is officially recognised as a "historical nationality". The territory is divided into eight provinces: Almería, Cádiz, Córdoba, Granada, Huelva, Jaén, Málaga and Seville. Its capital is the city of Seville. The 1996–97 La Liga season, the 66th since its establishment, started on 31 August 1996 and finished on 23 June 1997. The 1999–2000 La Liga season, the 69th since its establishment, began on 21 August 1999 and ended on 20 May 2000. Real Club Deportivo Mallorca, S.A.D. is a Spanish football team based in Palma, in the Balearic Islands. Founded on 5 March 1916 it currently plays in Segunda División, holding home games at the Estadi de Son Moix. In November 2003, 32-year-old Finidi underwent a trial at former club Mallorca,  following which he signed with the Balearic Islands team,  helping them finally finish in 11th position after constantly battling relegation. He retired from the game in the summer. In the 1998 tournament in France, Finidi also played in all the matches, with Nigeria meeting the same fate at the hands of Denmark. He had already vowed to quit international football prior to the competition,  and earned a total of 62 caps. Clarence Clyde Seedorf is a Dutch professional football coach and former player. He is currently the manager of the Cameroon national team. 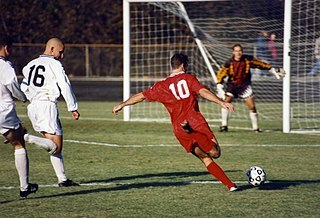 Savo Milošević is a Serbian retired footballer who played as a striker. Currently he is the manager of Serbian SuperLiga club FK Partizan. Albert Luque Martos is a Spanish retired footballer who played as a left winger or striker. Sunday Ogochukwu Oliseh is a Nigerian football manager and former player. In his active playing career he played as a midfielder. Daniel Owefin Amokachi is a Nigerian former professional footballer, and former assistant manager of the Nigeria national football team. Tijani Babangida is a retired Nigerian footballer, who played as a winger. Known for his pace, his playing style was sometimes compared to that of Marc Overmars. Babangida spent the majority of his playing career at Ajax. Overall, he played in five different countries on three different continents. At club level, Babangida spent nine years in Netherlands, playing for VVV-Venlo, Roda JC and Ajax, winning the Eredivisie plus KNVB Cup double with the latter side. Gustavo Augusto "Gus" Poyet Domínguez is a Uruguayan former footballer. He was most recently the manager of Ligue 1 side Bordeaux. Rabah "Mustapha" Madjer is an Algerian former footballer who played as a striker. Julio Salinas Fernández is a Spanish retired footballer who played during the 1980s and 1990s. Ezzaki Badou, nicknamed Zaki as a player, is a Moroccan retired footballer who played as a goalkeeper, and the current manager of Algerian club MC Oran. Alfonso Pérez Muñoz, known simply as Alfonso, is a Spanish retired footballer who played as a striker. Achille Emaná Edzimbi, known as Emaná, is a Cameroonian professional footballer who plays for Spanish club Badalona as an attacking midfielder. Michael Edirin Obiku is a retired Nigerian football striker. He is currently coach at Feyenoord Rotterdam's Soccer Schools. The 1997–98 Copa del Rey was the 96th staging of the Copa del Rey. Emmanuel Nosakhare Igiebor, commonly known as Nosa Igiebor or Nosa, is a Nigerian footballer who plays as a midfielder for Cypriot First Division club Anorthosis Famagusta. He was called up to Nigeria's 23-man squad for the 2013 Africa Cup of Nations. Arnaldo Antonio Sanabria Ayala, also known as Tonny Sanabria, is a Paraguayan professional footballer who plays for Italian club Genoa, on loan from Betis, as a striker. Marco Asensio Willemsen is a Spanish professional footballer who plays as a winger and attacking midfielder for Real Madrid and the Spain national team. Munir El Haddadi Mohamed known simply as Munir is a Spanish professional footballer who plays as a forward for Sevilla FC. ↑ Jon Carter (26 May 2010). "First XI: World Cup celebrations". ESPN . Archived from the original on 3 June 2010. 1 2 "Kluivert strikes as Ajax force changing of the guard". UEFA.com. 24 May 1995. Retrieved 20 September 2017. 1 2 "Barça de titanes" [Titanic Barça] (in Spanish). Mundo Deportivo. 29 June 1997. Retrieved 16 February 2015. ↑ "Finidi George: I almost joined Real Madrid in 1996". Goal.com. 22 March 2012. Retrieved 11 May 2012. ↑ "Finidi kick-starts Tractor Boys". The Guardian. 22 August 2001. Retrieved 20 September 2017. ↑ "The rise and fall of Ipswich in the Premier League". These Football Times. 19 May 2015. Retrieved 20 September 2017. 1 2 "African Nations Cup 1994". RSSSF . Retrieved 20 September 2017. 1 2 "African Nations Cup 2000 – Final Tournament Details". RSSSF. Retrieved 20 September 2017. 1 2 "African Nations Cup 1992". RSSSF. Retrieved 20 September 2017. 1 2 "African Nations Cup 2002 – Final Tournament Details". RSSSF. Retrieved 20 September 2017. ↑ Henry Winter (21 September 2001). "On the Spot: Finidi George". The Daily Telegraph. Retrieved 16 September 2015. ↑ "Juventus hold their nerve to seal the real deal". UEFA.com. 22 May 1996. Retrieved 20 September 2017.